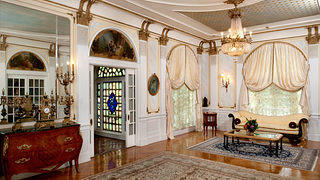 In Irvington, New York, there stands Madam C. J. Walker’s “Villa Lewaro,” a restored historic residence that embodies the optimism and perseverance of the American entrepreneurial spirit. Born Sarah Breedlove in 1867 in Delta Louisiana, where her parents and elder siblings were enslaved, Madam Walker would become a cosmetics and business pioneer. Developing beauty and hair products for black women, Madam Walker trained nearly 23,000 sales agents and workers, serving customers in the United States, Central America, and the Caribbean. Recognized by the Guinness Book of Records for being America’s first, self-made female millionaire, Madam Walker’s achievements in the face of racial challenges of 20th century America are impressive and without comparison. 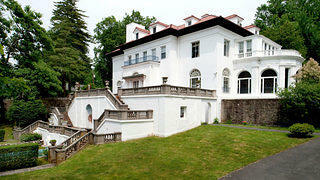 The preservation of Villa Lewaro reminds us about her remarkable life once lived. The Villa sits on 3 1/8 acre of sloping landscape. 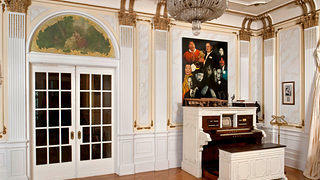 The music salon hosted distinguished guests. 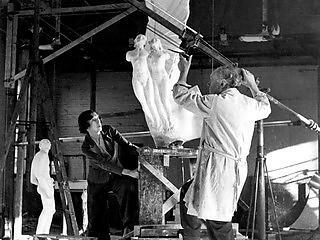 At the National Trust, we’re working to explore protection strategies, to understand the building’s potential, and to develop a documentary on Walker’s legacy and Villa Lewaro. Designated a National Historic Landmark in 1976 for its architectural significance, Villa Lewaro’s intact interiors are in good condition and the property retains a high degree of integrity. Ambassador Harold E. Doley, Jr. and Mrs. Doley owned and lived at Villa Lewaro from 1993 to 2018. 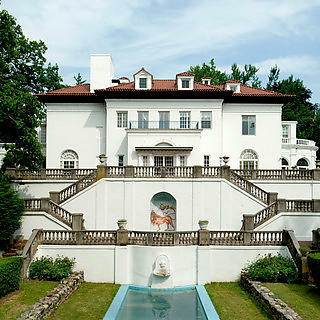 Villa Lewaro was the intellectual gathering place for notable leaders of the Harlem Renaissance, such as James Weldon Johnson, Zora Neale Hurston, W. E. B. Du Bois, and Langston Hughes. 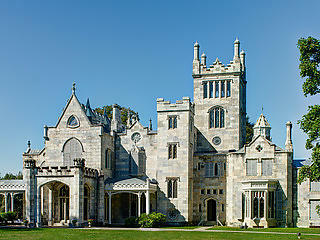 Villa Lewaro is located one-half mile from Lyndhurst and three miles from Kykuit. Villa Lewaro isn't usually open to the public, but you can still take a virtual tour of this historic property with narration from Madam C.J. Walker's great-great granddaughter, A'Lelia Bundles. In December 2018, Villa Lewaro was purchased by the New Voices Foundation. The foundation, which helps women of color entrepreneurs achieve their vision through innovative leadership initiatives, will spearhead the stabilization of the structure and planning for future uses.